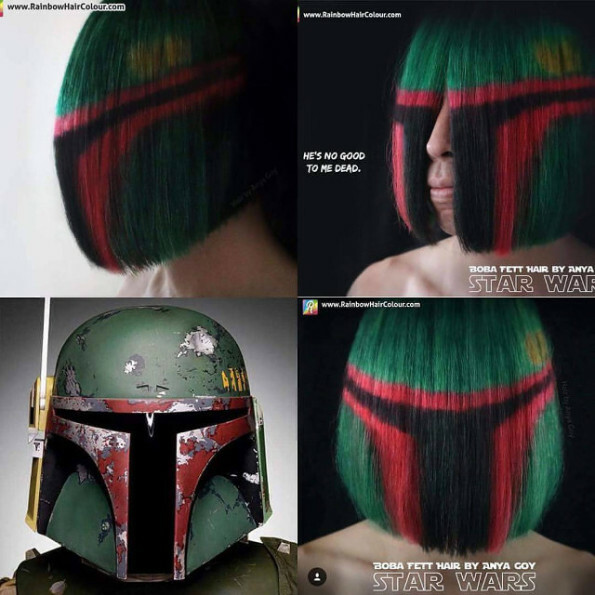 Hair stylist and colorist Anya Goy did this Boba Fett helmet hair dye job. It certainly brings new meaning to the phrase helmet hair! 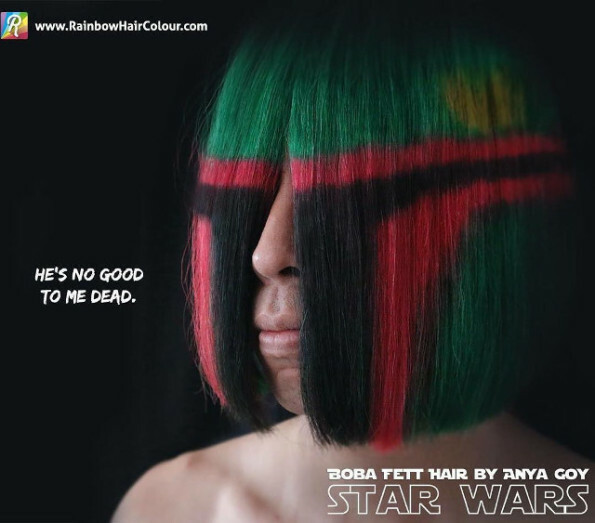 I love Boba Fett but still I won’t be going out in this hair style for sure!